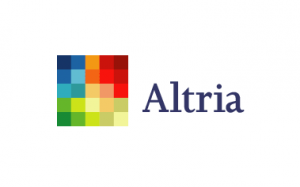 Altria Group Inc (MO): Hey, Yield-Starved Investors, What Are You Doing? Bonds and bond funds trade at some of the lowest yields on record. Why are investors putting up with measly yields? Partly because inflation is so low, and partly because they’re frightened of everything else in the investment world. But low yields in bonds has spilled over into stocks, too. Traditional dividend dynamos like Altria Group Inc (NYSE:MO) and Verizon Communications Inc. (NYSE:VZ) have seen their share prices spike and their yields fall in recent years as the hunt for income grows vicious. Sonders: I’m not so sure if the reason why investors continue to put money in fixed income is optimism about the potential return in fixed income. I think it’s vestige fear of just about any other risk asset, so at least they, in their mind, they know what they’re getting. Unfortunately I think a lot of investors don’t realize that what they’re getting in real terms is a guaranteed loss in the case of certain Treasury securities. But again, there are other places one can go within the fixed income sphere. You know, high quality corporate credit where you get a pickup in yield, but I think one of the interesting things that you’re seeing as it relates to the equity market is that there is that fear, but there’s also that desire for income, and I think that’s why some investors are now looking toward the equity market, but staying in that income sphere within the equity markets. So one of the reasons why defensive names and industries and sectors have done well may be a combination of the fact that as you tiptoe in, you want to kind of keep those defensive characteristics, but that’s also generally where the yields are to be found. Not only that, but some of the move that we’ve seen into the equity market has actually come from bond funds that have enough of a hybrid mandate that they can move into the equities sphere if there’s an income component to what they’re buying as well. The article Hey, Yield-Starved Investors: What Are You Doing? originally appeared on Fool.com and is written by Morgan Housel. Fool contributor Morgan Housel owns shares of Verizon Communications (NYSE:VZ) and Altria Group (NYSE:MO). The Motley Fool has no position in any of the stocks mentioned.